We had a busy week here at home. 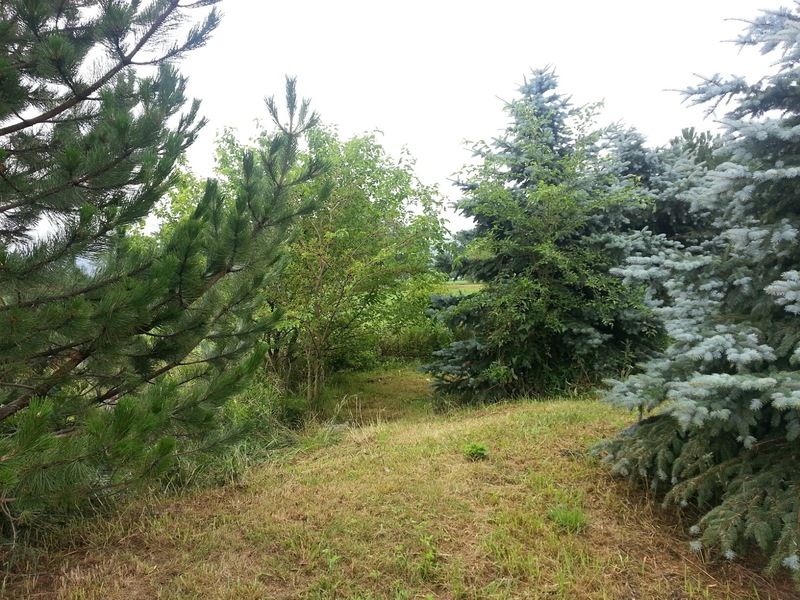 The back quarter of our property where we have lots of evergreens had been left to grow over with weeds and brush. This week we had a few dry hours here between all the rain storms. So we got out and cut down all the brush and weeds. 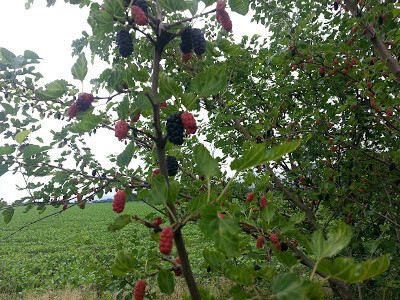 While out back we came across a surprise Mulberry tree. The mulberry tree was growing between the evergreens. Did you know some people consider mulberry trees weeds? I don't know about you but there are some tasty berries on that weed. I am about to go make a cobbler from the berries I picked today. 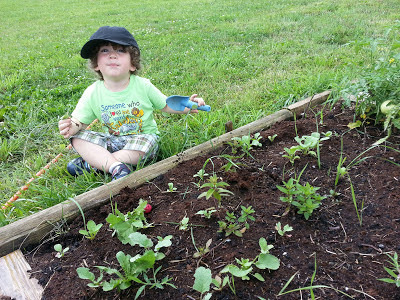 My grandson Little Bug helped me weed our weed free garden. Lol, that's another post in the making. The little red spot in front of him is a radish he pulled. We have to schedule a few more weed pulling lessons before I set him off on his own. Ha ha. We went into town and stopped by the lake shore for some photos. 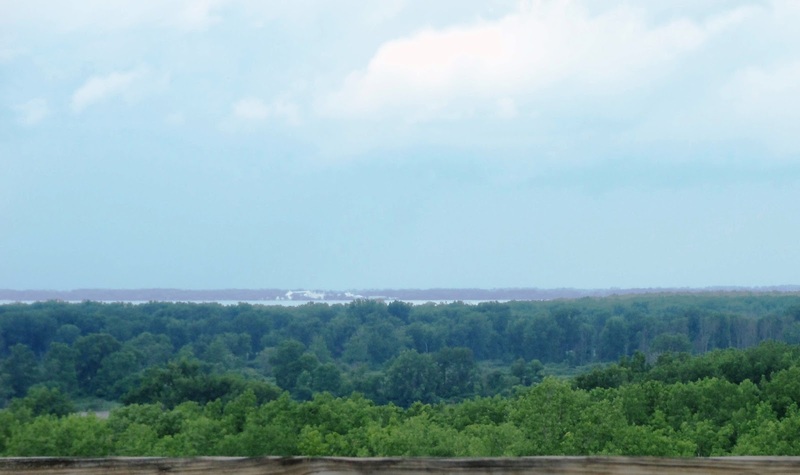 That is a view of the Lake Erie shore line. 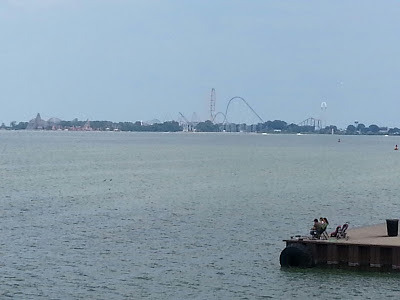 A view of Cedar Point off the Lake Erie shore. We went for a walk in a quarry. About half an hours drive from our home. 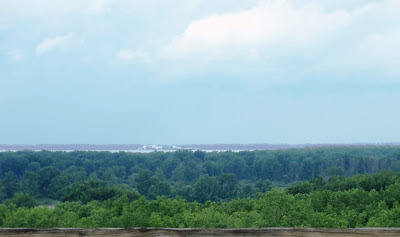 This old quarry has been made a park by Erie Metro Parks. The quarry has many nature trails. Some for walking and some for biking. A walk on the main path takes about 45 minutes at a steady pace. We took the main path most of the walk and got off on a few side paths just to see where they took us. Old cabin off one path. Some of the cliffs climbers use. I think climbing is prohibited though I often see some climbers. Half way along the path is an awesome observation platform. If you look closely you can see Lake Erie on the horizon. Our walk down was much quicker as it was all down hill. We really had a great week. I do hope you all Enjoy you weekend. Hmmmm .... I was hoping your weed free garden was going to work. Those weeds are so tough that they will grow anywhere. My sister uses mushroom mulch and says she doesn't have as many weeds. We haven't been to Cedar Point in YEARS!! Too funny about the radish. You sure stay busy! I love that you can go to town and have access to the water like that. So nice. Cute little guy with the radish! Remember: "Here we go around the Mulberry Bush, the Mulberry Bush, the Mulberry Bush..... so early in the morning!!" I am not sure I've ever seen a Mulberry Bush/Tree before... And I've never eaten a Mulberry.... Interesting!!! 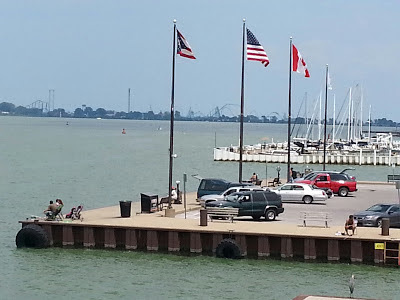 Beautiful pictures of the park and of Lake Erie. I've never had a mulberry. They look tasty! Your adventure looks so cool. 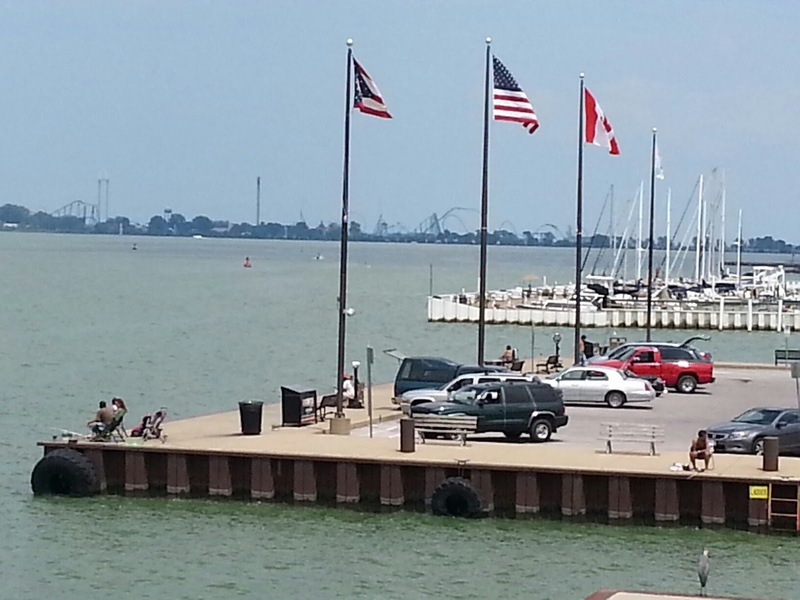 Being so close to the lake must give your family lots of fun! Your grandson is growing up. Your grandson is just adorable!! Your outing looked like it was a lot of fun. I've never had a mulberry, but would love to try one! 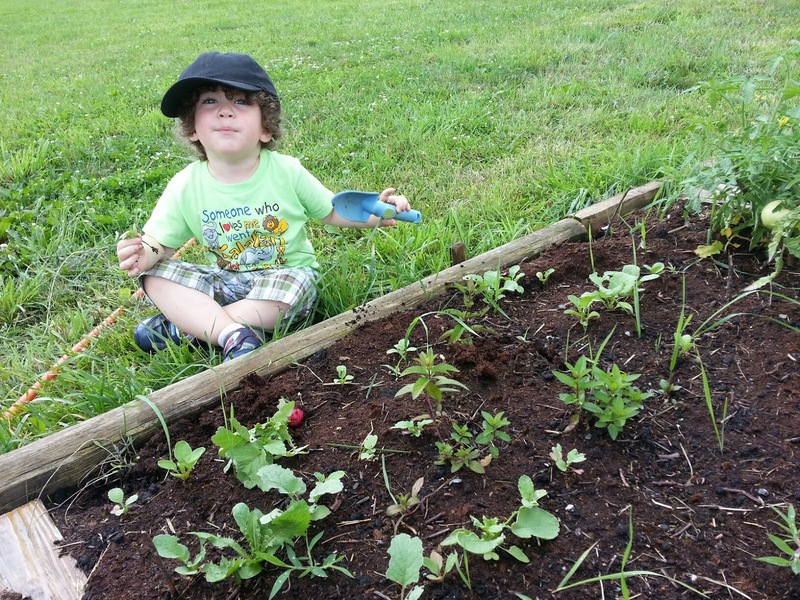 Love the picture of Little Bug helping you with your garden.